Iain was brought up in Dumfries and started learning the piano at 7. 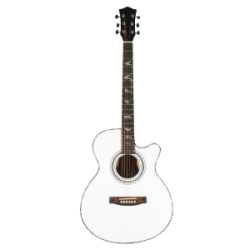 By age of 15 he moved on from the discipline of classical piano to take up the guitar and singing. 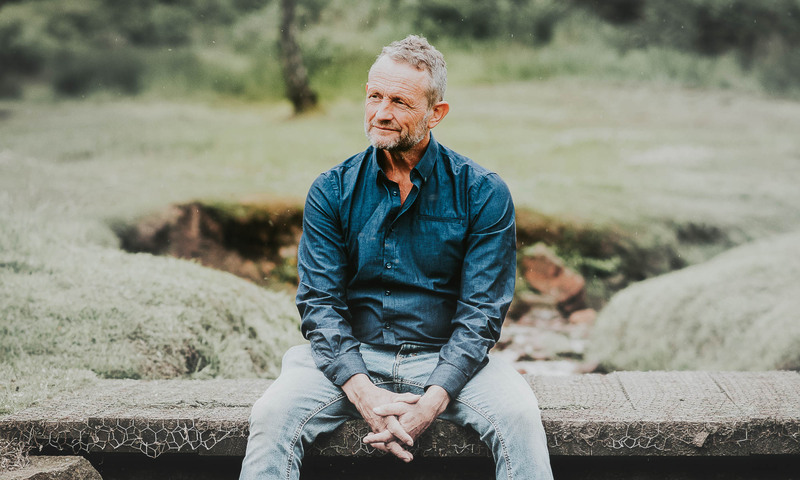 He moved to Mull in 1986 to run a large hill farm and became known as the “Singing Shepherd” after producing two successful tapes of self penned songs. In 1996 he left Mull spending 7 restless years driving trucks and playing in bars. “The Long Road Home” The new CD was a huge success and was played extensively on local and national radio. In 2006 he was awarded a residency at the prestigious Covepark Centre to create music and song. In 2010 he brought out the album “Fields of Dreams” to critical acclaim. It consisted of 12 tracks of self-penned songs and tunes. Iain’s compositions are written sensitively and his songs and tunes of the changing face of rural Argyll move the hearts and souls of his audience. Iain is at present concentrating on developing the duo he has formed with the wonderfully talented Marc Duff. 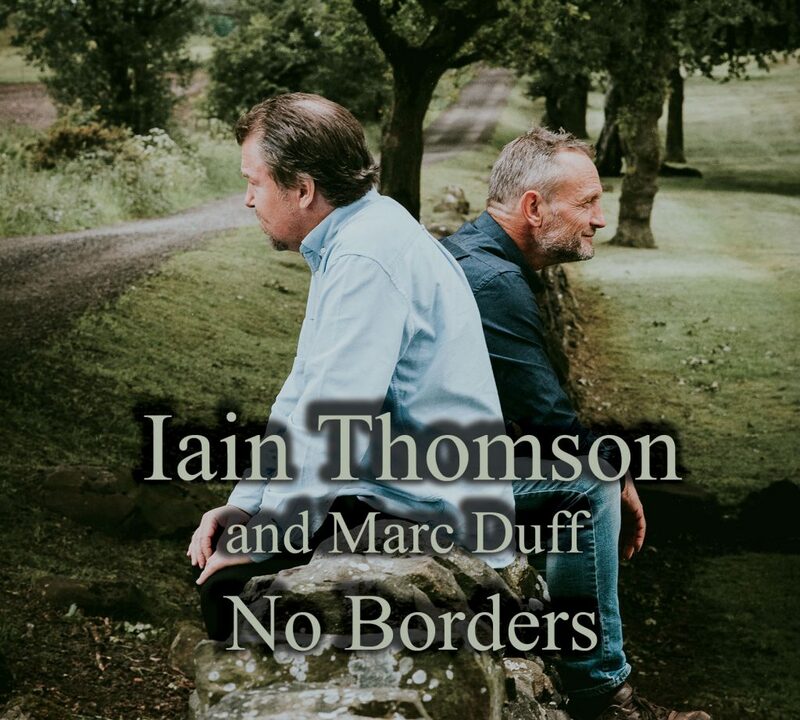 Iain and Marc are releasing a new duo album entitled NO BORDERS. The album is a collection of eleven new self-penned songs and features multi-instrumentalist Marc Duff, who also produced the album, along with guest musicians Gordon Maclean (bass), John Somerville (accordion), John Saich (bass) and Hannah Fisher (fiddle, backing vocals). The album is a collection of songs that are both personal and topical but still very much rooted by experiences of life in rural Argyll. Iain is now in the process of emigrating to Sweden and starting a new life and a new language, a process that will surely inspire new songs for the future and perhaps another CD. Title track No Borders is about what drives folk to jump on a boat run by money driven people with no regard for human life. They have no idea what awaits them at the other side of the ocean but they feel it must be better and safer then what they are leaving behind. The dilemma that faces refugees today is also very similar to the plight of the people during the Highland clearances when they boarded the ships with few possessions to emigrate. Other notable songs on the album include The Glendale Martyrs; much of the afore mentioned Highland clearances took place without much resistance from the crofters. In Skye the crofters refused to pay rents and the people fought on many occasions with sticks and stones when the factors tried to administer force and arrest. The main leader of the rebellious crofters was John Macpherson of Glendale.The publicity created by this lead to great support for the crofters cause and eventually led to the crofting act that gave crofters security of tenure, and Winter Winds Blow, Iain’s main income over the years has been as a fencing contractor and it has taken him to some amazing places. He often employed one or two guys to make a team on bigger jobs. The song tries to encapsulate the beautiful surrounding landscape and wildlife, the thoughts that go through the head when working a lot on your own and just the sheer physicality of the job in sometimes harsh conditions. Iain and Marc will be touring up and down the UK during 2018.